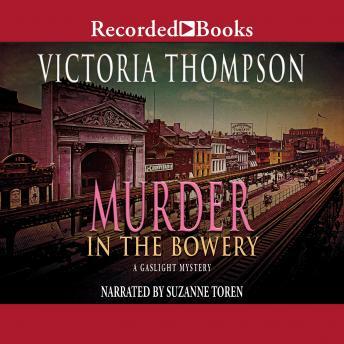 The national bestselling author of Gaslight Mysteries returns with a case of murder in the field of higher learning in Victorian-era Manhattan. Frank Malloy's latest client Will is searching for his brother, a newsboy named Freddie, who runs off as soon Will's name is mentioned-only to be found dead a short time later. A suspicious Frank tracks down Will who spins a tale of lust and deceit involving a young society woman Estelle Longacre. Estelle's risky behavior took a fatal toll but Frank can't be sure if the company she kept is to blame or if her own ruthless family had a hand in her death. Frank will need Sarah's help to discover if there is a connection between Estelle and Freddie's death. Together they must navigate an underground web of treachery to find answers.